I am trying to deal with yesterday’s visit to the doctor, so I’m writing it out. Vitauts went to a neurologist in December for a dementia test. Susan and Andra brought him for what he described as “three hours of torture.” The neurologist asked him question after question after question making notes of what dad could remember and what dad could not. The report was sent to my family practitioner, Doctor S., who is a wonderful woman, and who, I think, really loves Vitauts as so many other people do. I finally made an appointment to discuss the results of the test, and dad and I went in together. I think I was a bit edgy just because I knew what the report would say. I am trying to be better about understanding my own feelings, but it wasn’t until today that I realized why I was tired and cranky yesterday afternoon. After waiting a while, and watching dad kind of stumble his way through the waiting room, forgetting where he was and who his doctor was (despite me giving him a card with her name on it), we sat together waiting for Dr. S. The nurse was already enamored by dad, praising him and joking with him. He was smiling and laughing as he does, and he even took her arm as she led him to the examination room. “I do not know.” I was pretty disheartened by this exchange. “Smiltene?” He remembered. We were getting somewhere. Nothing. He was drawing a blank. “I don’t even think I know where I live, I mean.” He said, dejected. He was a pastor at the church, the same church we still go to every now and then. But he couldn’t remember. This is what struck me so deeply. He was a pastor for sixty years, and here he had forgotten that part of his identity. How is that even possible? Dr. S came in, and we had a wonderful visit. The neurologist suggested in her notes that dad find some groups to join and some social activities at some senior care facilities throughout the week. I told her that dad really wouldn’t like that. 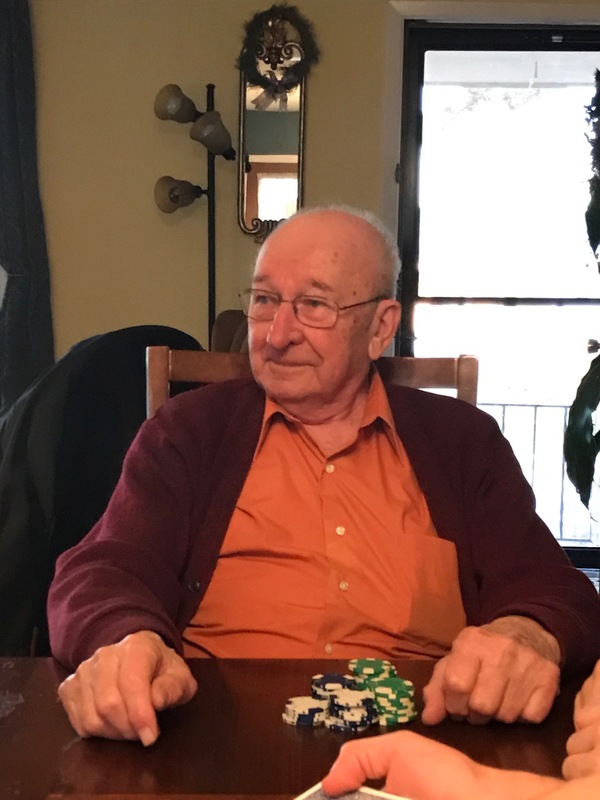 We had a conversation about what his daily activities were including his daily routing of doing puzzles, playing cards and cooking meals. She said that sounded fine. She understood him when he explained that he had already me thousands of people in his lifetime, and he didn’t really want to meet anymore. I felt validated. For the past month, I’ve been feeling so guilty about leaving dad at home to himself, as if he is in some prison. But when you turn it around, and point out that he is doing what he wants, on his own terms, and he doesn’t need to be told what to do or where to go, I feel a little better. The next part of the visit got a bit scarier. “How bad is it?” I asked. We were sitting there discussing the fate of my father right in front of him, and yet he was oblivious of our conversation. The disconnect was unsettling. I could already see signs of Vitauts’ world getting smaller. He no longer drove very far away from home. He didn’t like to leave the house. He didn’t even like to visit with his children. The worst part of it all is that he is quite aware of this memory loss. He knows it and it eats at him, gnawing at him each day when he cannot remember simple things that he knows he should. During the examination, Dr. S proclaimed her love for this man. She even said she would marry him if she could. He does have that affect on people. Charming. He made a few jokes with her, and she was just taken with his wit. Here is a man who doesn’t even know where he is sometimes, but he can crack a joke about anything. How the mind works! It’s just so strange. She prescribed him a dementia medicine, Namenda, that doesn’t sound too promising, but also doesn’t really have many side effects. She suggested that it won’t reverse the effects, but it may slow them down. After all, dad could and probably will live for several more years. He’s incredibly healthy, so we need to do what we can to maintain as good a life as possible. It’s just too bad that we can’t do more.